Discover San Antonio- Texas- the seventh-most populated city in the United States that lies on the southwestern corner of an urban mega region known as the Texas Triangle. 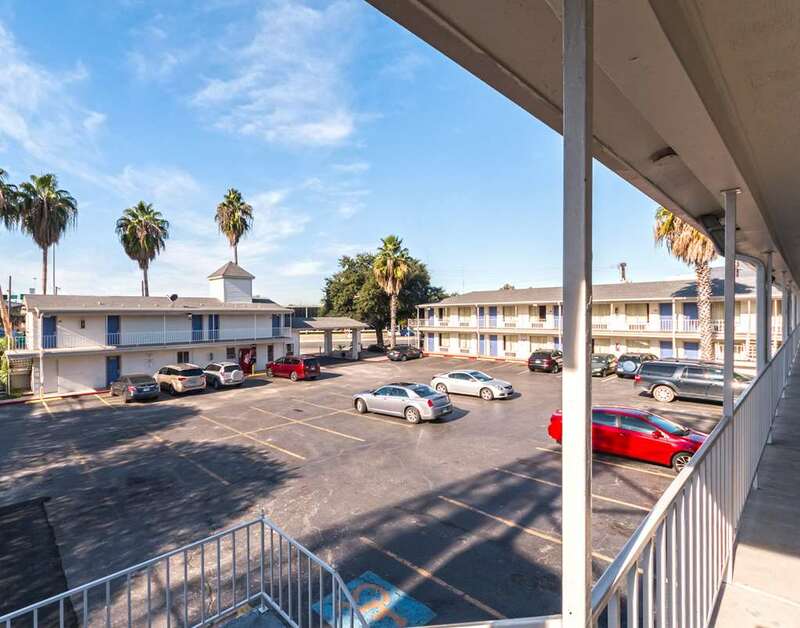 Americas Best Value Inn Riverwalk Downtown/Market Square is ideally situated less than 2 miles away from San Antonio College and downtown San Antonio. Our hotel is conveniently located on North Maine Avenue. Top attractions in the area include San Antonio Zoo- Tower of the Americas- and Six Flags Fiesta Texas. Our property features amenities such as an on-site guest laundry facility and restaurant. Pets are welcome- restrictions and charges apply. Start your work or sightseeing day in fine form with a free cup of coffee in our lobby. Whether you are traveling for business or pleasure- stay connected with our complimentary Wi-Fi available throughout the property. Complimentary on-site parking is also available. Each of our 118 guest rooms feature the ambiance of home luxuries such as free Wi-Fi- microwave- mini-fridge- 32 inch flat panel cable TV- Showtime- desk with lamp- table with chairs- and free local calls. Americas Best Value Inn Riverwalk Downtown/Market Square is your best choice located in the second-most populous city in the state of Texas. We offer ideal accommodations and location whether you are in town for entertainment- music and food festivals- sightseeing- wildlife activities or simply passing through on your way to Houston or San Antonio. At Americas Best Value Inn Riverwalk Downtown/Market Square our goal is to provide our guests a great experience- not just a place to stay. At Americas Best Value Inn Riverwalk Downtown/Market Square- We have Got You Covered from the time you hit the road until your head hits the pillow.